Η έκθεση είναι διαθέσιμη στα Αγγλικά έδω. 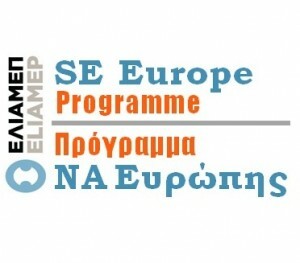 This report is the output of the project focusing on relations between Greece and FYROM, funded by the Ministry for Foreign Affairs of Sweden, and implemented by Analytika (Skopje) and ELIAMEP. The two teams from Athens/Thessaloniki and Skopje had a joint planning and methods workshop in Thessaloniki in December 2016. During that workshop the scope of the investigation was agreed upon, the data to be collected and the method of analysis were initially discussed and the preliminary list of projects to be studied was made. After this planning workshop, however, each side was alone in deciding the details of the data collection and analysis and in conducting the actual analysis itself. The partners did not also have the opportunity to discuss project results. With regards to case selection, the reader can familiarise herself with the various EU cross border projects by perusing the list to be found in the Appendices. Needless to say, the team had to be eclectic when deciding what to study. The selection was made together with our partner institution Analytika. When selecting the cases to be investigated we had three criteria in mind: firstly, geographical dispersion; secondly, variety in project themes so that both potentially more and less politically sensitive projects were identified; and, thirdly, ability to collect meaningful data. Especially the latter point was crucial and made us change course after the start of the project and drop an earlier selected case in favour of a project that was more ‘promising’ in terms of available material. With regards to the Greek side of the project, a methodological note is due here. We have tried to emphasise more data collection from the stakeholders themselves. This was necessary because very little secondary literature existed. But it was also a conscious decision, acknowledging the reality that in most cases the best evaluators of cooperation are the grassroots actors involved in it themselves. That said, we have used standars research and analysis tools and techniques for cross-checking data, evaluate claims and perspectives. What we present is a view from below (from the stakeholders) as much as our expert opinion based on our scientific analysis and own Balkan experience. Last but not least, we should mention here the different parts of the analysis and the report, which corresponds to the main avenues of our research design. In what follows, the reader will first familiarise herself with the general political relations between Greece and FYROM and the institutional/EU context of cooperation. Subsequently the reader will have access to extensive information about the EU projects that we have examined. The analysis will then enter the investigation of nine thematic strands that form the basis of our analysis of the selected projects. The following section focuses on higher education; we first provide an overview of cooperation on educational issues and then present four thematic areas that form the basis of our analysis. Subsequently, we present extensive verbatim sections of interviews with stakeholders so that the reader can have a close understanding of the discourse and ideas of the project partners. We finalise the report with a series of appendices which offer useful info about our analysis and the projects that were selected.